Stay ahead of the trends this winter season with this sweater from Stop. Made from good quality fabric, this sweater comes in a perfect fit design and keeps you warm all day long. 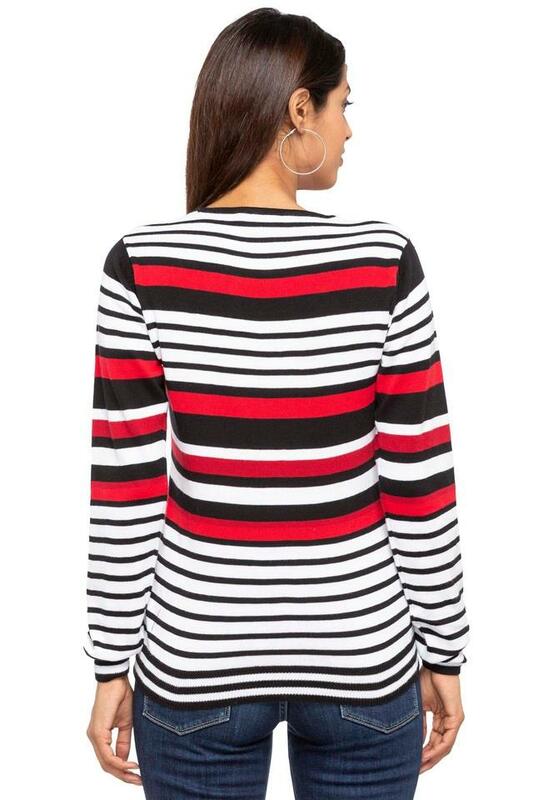 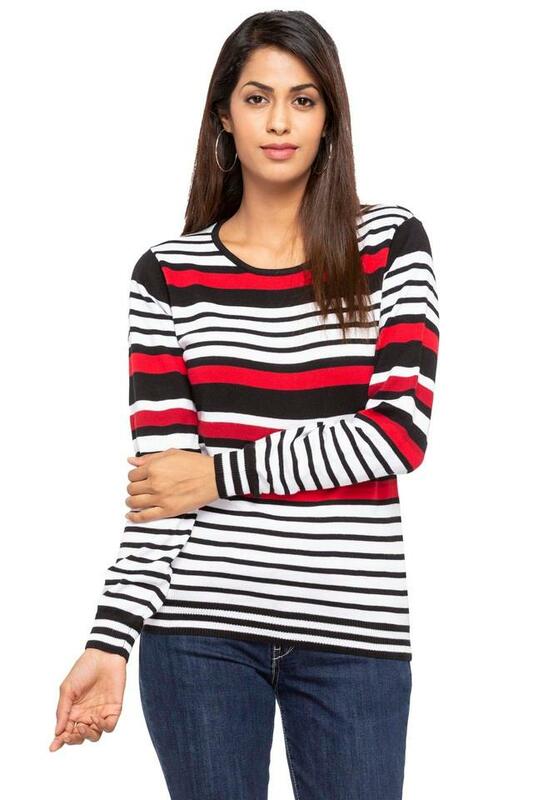 Featuring a round neck, full sleeves and striped pattern, this sweater possesses a stunning grace. Introduce style to your everyday staples with this sweater. 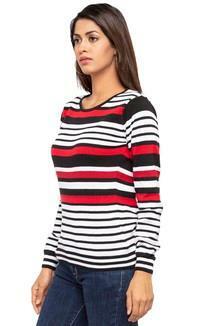 Show off your fashion sense by clubbing this sweater over a top along with a pair of contrast denims.